Not all superfood powders are what they're cracked up to be, and some have even been discovered to be misleading or scams; that is, they don't live up to health claims. Some superfoods (foods believed to have numerous health benefits or to be extremely nutritious) made into powders appear to be legit, so it's important to distinguish between health and hype. In 2015, the U.S. Food and Drug Administration (FDA) issued a warning letter to the owner of Texas SuperFoods, stating products manufactured in the facility were in violation of FDA standards. That's partly because product label claims weren't warranted, as Texas SuperFood products aren't effective for treating, curing or preventing diseases as claims stated. Products were manufactured in conditions that didn't meet FDA dietary supplement Current Good Manufacturing (CGMP) regulations. For example, the company claimed these products reduced chronic pain, lowered cholesterol, lowered blood pressure, and improved allergies, chronic reflux, and heart burn. The bottom line is Texas SuperFoods made false medical claims that superfood powders help treat medical conditions, which would classify such supplements as drugs (needing FDA approval). Nonetheless, these products may be safe to consume (unless the FDA finds otherwise). Texas SuperFoods may indeed provide you with nutritional benefits (fruit and veggie antioxidants and other vitamins and minerals) if products contain what's listed on supplement facts labels. Another company that manufactures superfood powders (and other health and dietary supplements) is Herbalife. This organization also received a FDA letter because of false claims about products. The main problem with Herbalife's superfood claims is the company stated the FDA deemed Herbalife's dietary supplements were effective and safe, which is a false claim. Herbalife misled consumers when saying the FDA oversees and reviews dietary supplements (including Herbalife products) for safety before these products are marketed. The FDA stated Herbalife must remove all false claims from all products, websites, commercials, and other advertisements. Herbalife was wrong when claiming products have FDA approval, but these products are likely safe for consumption (unless proven otherwise by the FDA). And many Herbalife nutrition products (weight loss products, protein shakes, healthy snacks, multivitamin supplements and many others) offer a variety of nutritious ingredients like protein powder, vitamins, and minerals. In January of 2017, Berkeley Nutritional Manufacturing Corporation received an FDA warning letter stating the company's manufacturing facility was in violation of Current Good Manufacturing Practice regulations for dietary supplements. Supplement labeling was also in violation of FDA standards. More specifically, the product Green Superfood Cacao Chocolate Infusion was misbranded and didn't comply with dietary supplement labeling requirements. Ingredients listed on this product's label included chocolate, when chocolate flavoring (not chocolate) was in the product. Additional problems with Berkeley Nutritional Manufacturing Corporation addressed in the FDA letter pertain to other dietary supplements manufactured there. For example, the weight management formula claimed to manage obesity and improve cholesterol, and a magnesium malate product claimed to reduce chronic muscle soreness. While medical claims can't be backed, many products made at Berkeley Nutritional Manufacturing Corporation do provide nutritional benefits (for example, Green Superfood Cacao Chocolate Infusion does provide you with probiotics, vitamins, minerals, phytonutrients, and digestive enzymes) as long as the supplements contain what's listed on labels. Nearly every nutrition supplement company manufactures some sort of protein-rich powder that can be used for making nutrition shakes and smoothies. However, it appears some of these companies have spiked such powders with fillers, as actual protein content was found to be much lower than what was listed on supplement fact labels. Protein in these supplements may still be beneficial for weight loss and post-workout recovery, you're just not getting the full amount you've paid for (so results might not be as prominent). While such products may not be dangerous, undisclosed ingredients used as fillers could pose health risks. Iowa Select Herbs was also issued a warning letter from the FDA claiming it failed to meet current standards. Despite given an opportunity to correct manufacturing practices and misleading consumer information, Iowa Select Herbs failed to make necessary changes warranted by the FDA. In 2015, Iowa Select Herbs issued a recall for numerous herbal products (misbranded dietary supplements) distributed as unapproved new drugs, as these supplements did not meet Good Manufacturing Practice regulations. Examples of products recalled include acai berry, cranberry, green tea, and many other superfood products. The FDA says no adverse health effects were noted after taking these supplements but warns consumers to call a doctor immediately if they experience health problems that could be related to Iowa Select Herbs products. Some Iowa Select Herbs products may provide health or nutritional benefits (from polyphenols found in green tea, cranberry or pomegranate extracts for example), but because the company didn't meet safe manufacturing standards, you don't really know what you're getting in these products. 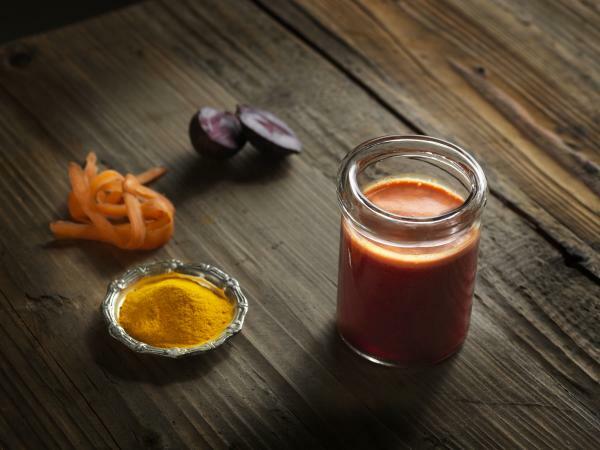 By definition, a superfood is a food with extraordinary health benefits. Typically these are foods high in antioxidants, healthy fats, fiber, protein, probiotics or phytonutrients. The term superfood is not an official scientific or nutritional term. While many superfoods are indeed nutritious, "superfood" is often a marketing buzzword used to motivate consumers to buy products. Nutritious superfoods can be made into powder form and sold as dietary supplements to promote health. 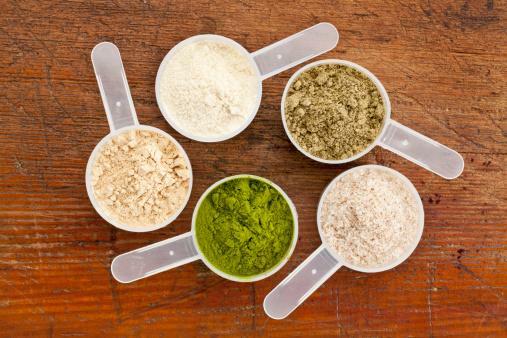 It's often difficult to know if a superfood powder is a scam. Do research online to see if the FDA issued any warning letters to the company manufacturing products you're thinking about buying. Even if a superfood powder isn't dangerous, it might not contain all ingredients listed on the label (in the amounts disclosed), or have added fillers in it. Superfood powders claiming to cure, treat or prevent diseases (or have FDA approval) may be unlawfully making claims not approved by the FDA. The bottom line is that superfood powders and other dietary supplements aren't tightly regulated (and are expensive), so always be cautious.